While in the 1st Arrondissement of Paris on the Rue de Rivoli, we took these high definition photos showing a World War II memorial located on the wall of the Jardin des Tuileries dedicated to Georges Fontaine. 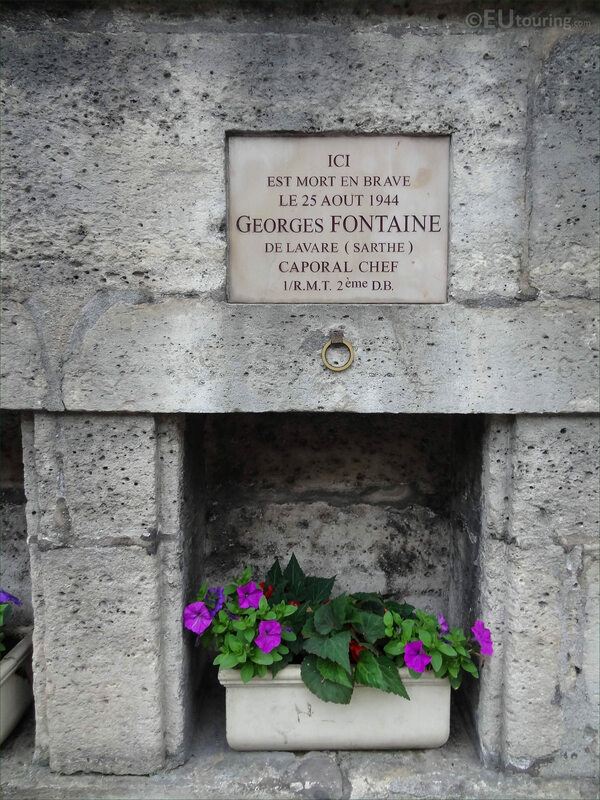 This first HD photo shows a commemorative plaque dedicated to Georges Fontaine, above a niche in the sandstone wall of the Tuileries Gardens and as you can tell from the plaque, he was a Corporal within the Marching Regiment of Chad, which was part of the 2nd Armoured Brigade, and he died on the 25th August 1944. Now this is part of a World War II Memorial paying tribute to ten people who died at this location during the Liberation of Paris, and on certain dates throughout the year additional wreaths are laid out and bunches of flowers are put in place by the City of Paris through the ring you can also see here. 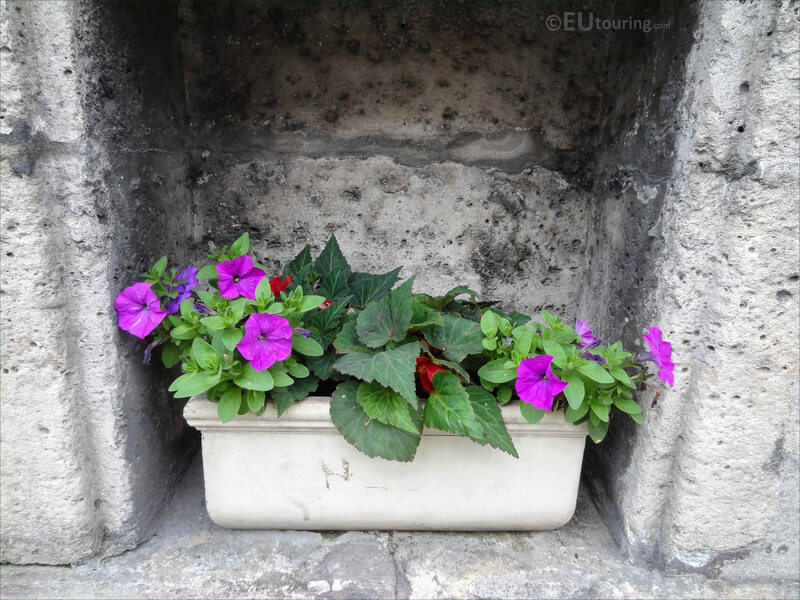 However, this photograph shows a close up of the stone flowerpot and its flowers within the niche, which can be seen on the Rue de Rivoli, right by the Place de la Concorde, which is where Georges Fontaine died on the same day that the German commander von Choltitz was captured and surrendered.